A recent article published in the New York Times appears to suggest that the United States will be investigated by the Netherlands-based International Criminal Court (ICC) for committing torture against captives in Afghanistan. Surprisingly enough the ICC has almost exclusively focused its attention on alleged war crimes and acts of genocide taking place in Africa. Many of the cases have in effect served the interests of U.S. imperialism where governments which are targets for destabilization and regime-change are indicted by the prosecutorial institution in order to isolate their leaders by threating illegal arrests and seizures. Even though Washington was initially a signatory to the Rome Statute under the presidency of Bill Clinton in 2000, it has never been ratified by the U.S. Congress. The Rome Statute set the stage for the creation of the ICC which the administrations of George W. Bush, Jr. and Barack Obama have refused to recognize as a body which its citizens are subject to honor. Although the Rome Statute was adopted in 1998 and went into effect some five years later, successive U.S. administrations have sought to use this legal body most notably against the Republic of Sudan headed by President Omar Hassan al-Bashir and the Libyan Jamahiriya formerly led by the slain Col. Muammar Gaddafi. Cases have also been brought against the government of the Republic of Kenya under President Uhuru Kenyatta and Vice-President William Ruto. For years these leaders accused of gross human rights violations, crimes against humanity and even genocide have been subjected to corporate and governmental media campaigns aimed at undermining their legitimacy both domestically and internationally. Nonetheless, the historical genocidal measures enacted by the U.S., Britain, France, Portugal, Spain, Germany and even the Netherlands itself have never been examined. The crimes of forced removal of indigenous people, the enslavement of millions and the systematic mass extermination of untold numbers on all populated continents over the last five to six centuries are never acknowledged by the ICC or similar entities. Consequently, the ICC is considered biased by many African states and regional institutions. During the Jubilee celebrations of the formation of the Organization of African Unity (OAU) sponsored by the successor African Union (AU) in Addis Ababa, Ethiopia held discussions in May 2013 on the withdrawal from the ICC. Routinely the European Union (EU) and the U.S. bypasses the AU in violation of diplomatic protocol in order to hold summits that exclude key African states. States such as Zimbabwe, Sudan, and Eritrea among others are not invited to these gathering in Brussels and Washington. Other African governments have refused to attend in light of these neo-colonial efforts by European and North American states aimed at creating divisions among members of these regional blocs. In recent weeks the Republic of South Africa, Burundi and Gambia announced that their governments would no longer recognize the Rome Statute. These developments portends that other states will soon follow suit. Even according to Newsweek magazine, “In what seems to be a continental domino effect, three African states have publicly declared their intended withdrawal from the International Criminal Court (ICC) over the past month. The court has repeatedly been criticized by African states as an inefficient, neo-colonial institution of the Western powers to try African countries. Other African states which could soon withdraw include the Republic of Namibia, Kenya and Uganda. These are major countries on the continent and their rejection of the Rome Statute and the ICC would be a major blow to this institution. 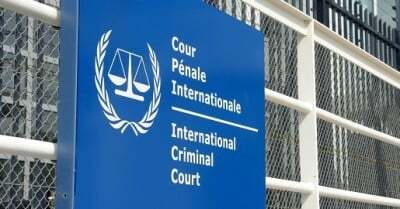 On November 16, the Russian-based news agency Tass wrote that Moscow had no intentions of ratifying the Rome Statute which ostensibly guides the operations of the ICC. The announcement was made by the offices of President Vladimir Putin and posted on governmental web site the following day. The resolution mandates that notice to this effect will be given by the Russian Foreign Ministry to the United Nations Secretary General. The Rome Statute was developed with Moscow’s involvement and later adopted by the UN Diplomatic Conference of Plenipotentiaries. Russia reportedly signed the document on September 13, 2000. However, it was never fully adopted by any government in Russia over the last sixteen years. This announcement is likely related to a report issued by the ICC on its investigation into what the Netherlands-based group says is Russian annexation of Crimea in 2014 and the continuing war engendered by U.S. intervention into the internal affairs of Ukraine. In February 2014, the elected government of Ukraine was overthrown with the support of the administration of President Barack Obama which funded campaigns that supported fascist organizations to serve as the main force in the removal of former President Viktor Yanukovych. Kiev’s new U.S.-backed regime was so anti-Russian that the people of Crimea voted overwhelmingly to rejoin the Russian Federation. During the decades-long existence of the Union of Soviet Socialist Republics (USSR), the Crimean Oblast was legally a subdivision of the Russian Soviet Federative Socialist Republic. In 1954, a transfer of Crimea into the Ukrainian Soviet Socialist Republic took place. With the collapse of the USSR in 1991, Crimea then was ceded to a putative independent Ukraine. Later that year Crimea had re-gained its autonomy following a national referendum. The following year in 1992, the Ukrainian parliament abrogated the Crimean Constitution and in 1995, the office of President. By 1998, Crimea had a new constitution imposed upon the state that mandated less autonomy. Therefore, any legislation adopted by the Crimean parliament could be overturned by an act of the Ukrainian parliament. Just over the last decade-and-a-half, the U.S., Britain, France and other imperialist states have committed horrendous war crimes in Afghanistan, Iraq, Haiti, Libya, Syria, Yemen, Sudan and other geo-political regions. These crimes are related to the intervention and occupations of nation-states based on false pretenses designed to eliminate independent governments and the seizure of their resources. As a direct result of these massive bombings, invasions, occupations and partitions, tens of millions of people have been displaced, impoverished and disenfranchised. Millions have died in combined military actions against Afghanistan, Iraq, Haiti, Libya, Syria and other countries. The plight of the Palestinian people, subjected to nearly 70 years of Israeli occupation, has worsened while the imperialist governments have increased their funding, arming and diplomatic support for Tel Aviv. Gaza, popularly referred to as the largest open-air prison in the world, remains under de facto Israeli occupation along with other areas of Palestine and the Golan Heights in Syria. At some point these crimes must be legally addressed along with the development of the Atlantic Slave Trade, colonialism, neo-colonialism and the denial of full participation in the UN and other international bodies by the imperialist governments. The abolition of the effectiveness of the ICC should pave the way for a broader discussion on the creation of a genuine world body to pursue war crimes and the violations of the fundamental human rights of the majority of the world’s population.